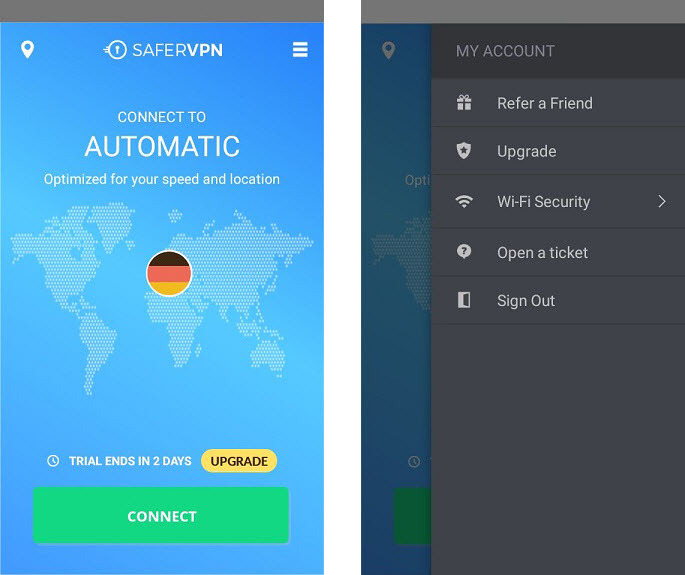 SaferVPN needs a lot of improvement and a personal touch to the support side. Better infrastructure, P2P and more features are just a few things that can be improved. 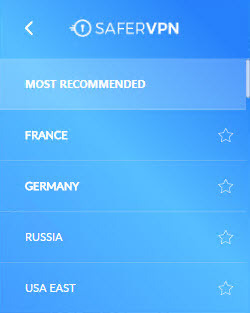 SaferVPN is a USA based VPN service that provides over 400 dedicated servers in over 30 countries. They have been on the market for a few years (since 2013), but the service doesn’t reflect that. It really seems like it needs more, and we will expand on that later. 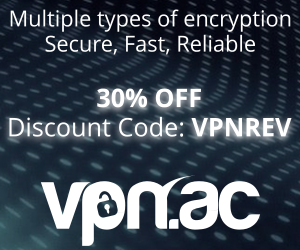 There are a few sensational claims that we are all used to such as “Bank level encryption” and “Fastest and Simplest VPN”. We find them off-putting and non-professional because the service itself is definitely not the fastest and simplicity is a debatable criteria. In order to sign up for the service, you need an e-mail address. After that, it really just depends on the payment method you use for the payment. It basically states that your information is collected, doesn’t specify for how long and more importantly that it can be used for legal action. There are apps available for Windows, macOS, Android and iOS. Routers are also supported and they also have a Chrome extension that routes your browsing. 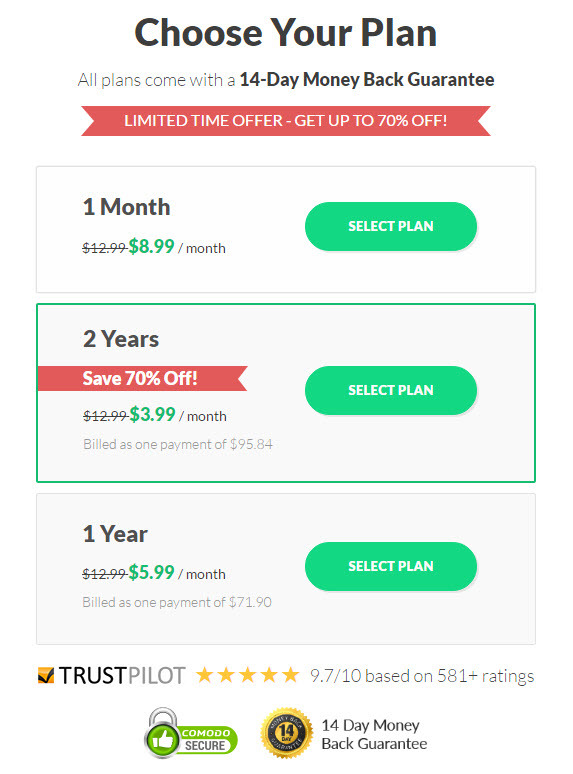 Although they state it’s 100% free, they don’t mention that it’s only free if you have a paid plan with their VPN service (so basically part of a package deal). The extension works fine, blocks ads and didn’t crash or have any issues during the testing. They have four locations available: France, Germany, Russia and USA East. The Windows application worked great, the connections were made easily since the application is very intuitive. We really liked the fact that the settings are just one touch away. We liked the design and the structure of the application and there were no issues with the functionality during the tests. 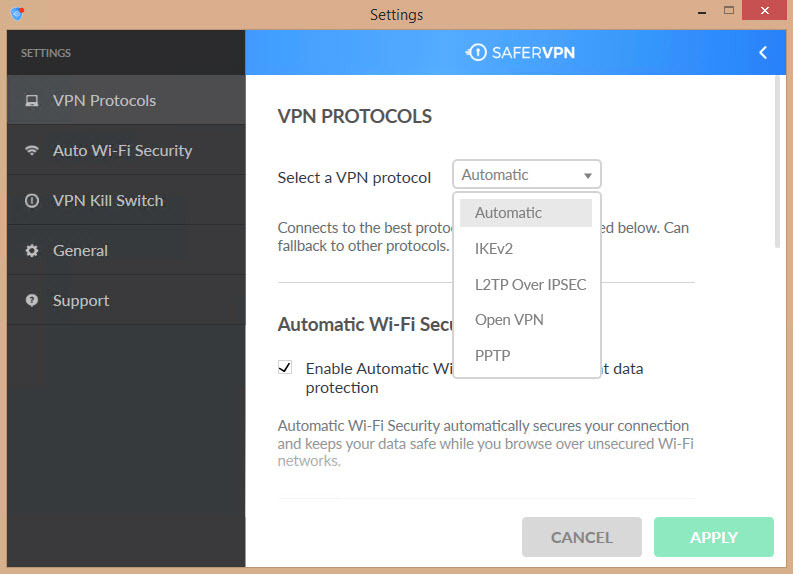 SaferVPN has a few features worth mentioning that are included in the proprietary applications. The kill-switch feature for example works fine, stopping traffic in case the VPN connection drops. There is no exclusion list or app-killer like in other services which can malfunction or cause issues by interrupting operations. You can select one of the following protocols: IKEv2, L2TP Over IPSEC, OpenVPN or PPTP. The automatic selection basically chooses the best protocol for you and falls back on the next in case there are issues. Another interesting feature is the Wifi security feature which basically connects you to VPN automatically when you connect to an open WiFi network. The feature works, but we’re not sure under which circumstances, because it turned on VPN whenever we switched networks, regardless of whether they were open or secured. 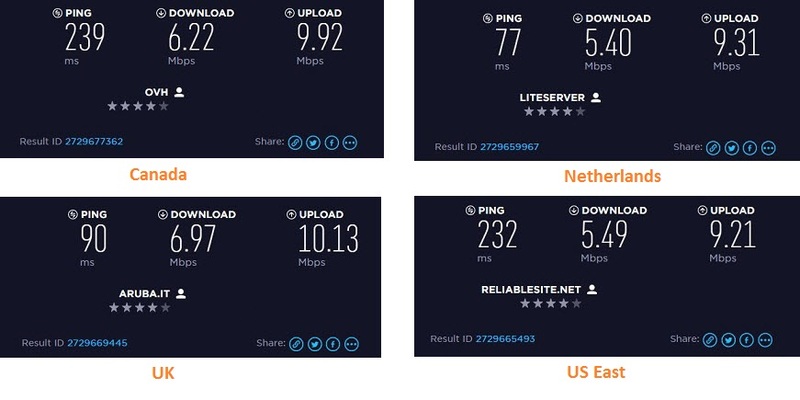 The browsing speed test results were good all around on OpenVPN. The browsing experience was fluid, media streaming was not interrupted and the overall performance was good even at higher qualities such as full HD. The torrent downloads however are a real issues. 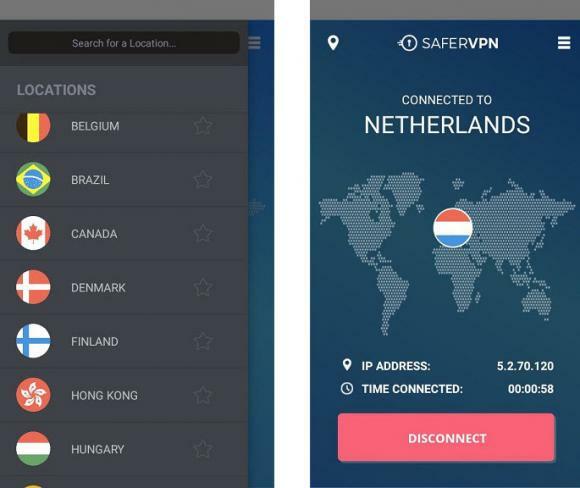 SaferVPN only allows P2P only on one location (Netherlands) and only under OpenVPN. 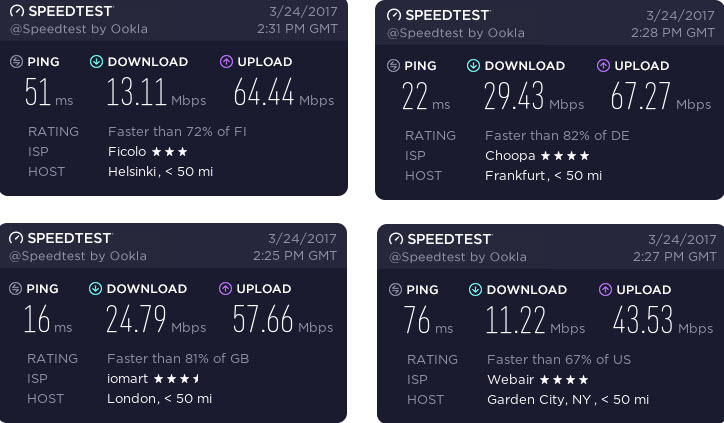 The speed test results were not great as expected. When asked, the customer support rep only stated that for the time being it’s the only P2P server and that they will add more in the future. That could mean anything including never. We tested the Android application and we liked the design and how easy it was to use. The settings were easily accessible and the account information can be accessed without logging on the website, which is nice. The theme is similar to the desktop app and the Wifi protection feature was available and working as well. The speed test results were pretty good. Browsing was smooth and the media streaming process was a bit sluggish in higher qualities. It doesn’t make too much of a difference, but there were consistent (1-2 minutes) periods of buffering on full HD YouTube videos for example. However, 720p and lower worked like a charm and there were no problems. We feel that SaferVPN has a bit of a n expensive pricing list. You might argue that there are more expensive services out there, and that’s true, but considering the performance, functionality and the aspects that still need improvement, we feel it’s a bit expensive. The only true deal is the 2 year subscription, but with the quality presented at the time of the review, we’re not sure we would go for it. They accept the following payment methods. It’s not the widest variety of payment methods out there but it should do for most users and we like that they accept Bitcoin. There is also a 24 hour free trial available which should give you enough time to test out the service. We were told by the customer support team that there are no restrictions in the free trial. The 14 day money-back guarantee is in place as well in case you change your mind. There is a lot of information available on their FAQ page and the support team is very prompt in answering, should you have other questions. You can contact them via a web form or through the live chat system which is open 24/7. The support rep was copy/pasting templates all the way. There was absolutely no line of text that showed any direct involvement. When we insisted with a question regarding the functionality of a feature, they finally popped the template bubble and told me to provide them with an e-mail address so that a senior consultant can help me. In my personal experience, I’ve noticed that the copy/pasted templates reflect a poor and copy/pasted VPN service in general. It’s arguably the lowest form of customer support and only provides information you are too lazy to read on the website. If you actually need help, you have to wait to be contacted by e-mail which may or may not be an option. 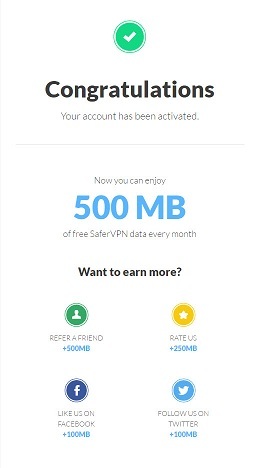 In short, SaferVPN is a bit shady and not exactly fully-featured. There are some encouraging aspects, so here is a quick breakdown of what we liked and what we didn’t. All things considered, we give SaferVPN a 6/10 due to the inconsistencies mentioned and the poor impersonal customer support experience. They are not a new VPN service anymore, and we expect more if they want to keep up with the existing VPN market.